Southwest of Bogota, Popayan is known for its whitewashed colonial buildings and many beautiful churches, including the domed, neoclassical Cathedral Basilica of Our Lady of the Assumption and the 17th-century Church of La Ermita. The city is also a prominent religious center with popular Holy Week processions. Not many people rave about Popayan, but I thought it was lovely and deserves to be a more regular feature on travellers’ itineraries. This wonderfully preserved old town is surrounded by impressive colonial architecture and whitewashed buildings, with pretty little churches on every corner. Thanks to its popular university, Popayan has quite a young population, so is a great place for excellent cheap food and lively bars. A sleeping giant on the travelling circuit. Popayan lies in the southwest of Colombia. It is a colonial-era city with mostly white colonial houses; that's why it is also called the "white city". It has a mild and pleasant climate but few touristy sights. Most people stop here en-route to San Agustin and/or Tierradentro. However, Popayan was once an important stopping point on the road between Cartagena and Quito. 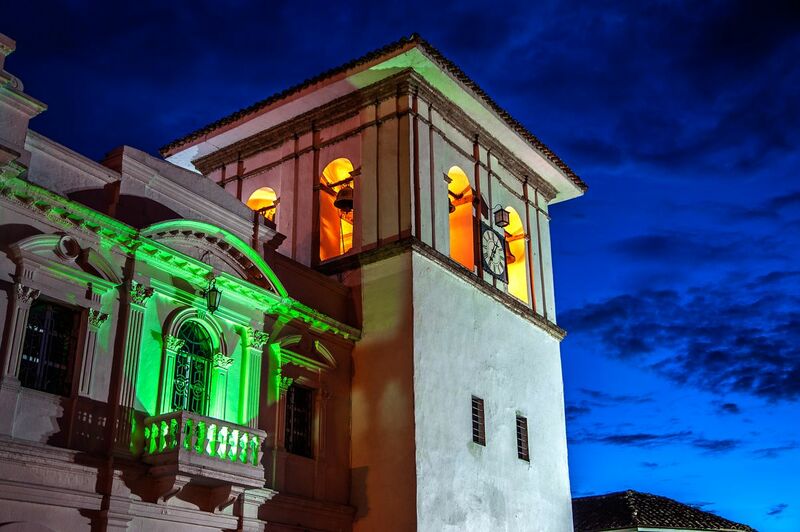 Today it boasts one of the oldest universities in Colombia. This is the city where you stay before going to Tierradentro and San Augustin, two of Colombia's most important archaeological sites. It's beautiful and colonial, but somewhat marred by traffic. Be sure to check out the mummies in the church of San Francisco - you have to ask the policeman to let you in.